Italian Parsley--even deer like a garnish! A gardener always needs to be aware. Of late I’ve been spending more time indoors than out as the garden is at rest and needs less of my time (cool season weeds not withstanding). As a result, this week’s stroll about the yard reminded me that you can never turn your back on the garden—even when the plants are sleeping. Deer have been having a field day; the longer spells of darkness providing them better cover from my notice. Despite bi-monthly sprays of repellent, they are managing to munch down on plants that either haven’t yet, or won’t lose their leaves. The succulent, still green leaves of the Hebe buxifolia, strawberry, Italian parsley and their favorite Heuchera, have been eaten down to nubs. I have to keep watch over the evergreens all winter. 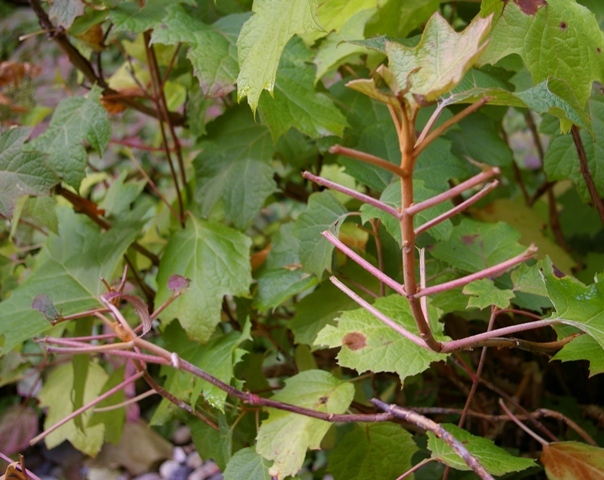 The oakleaf hydrangeas, only just flushing red before the leaves drop, have been a surprising target. The limited availability of any leaves apparently makes this shrub, which holds its foliage later than most; more palatable than when the selection is wider. Yet, in a discussion yesterday, my friend DeLona mentioned that her hydrangeas have also fallen prey. We surmised that young deer are the culprit, as normally the hydrangeas aren’t a prized meal. I rotate different spray repellents throughout the year with a goal of applying every 2 weeks. 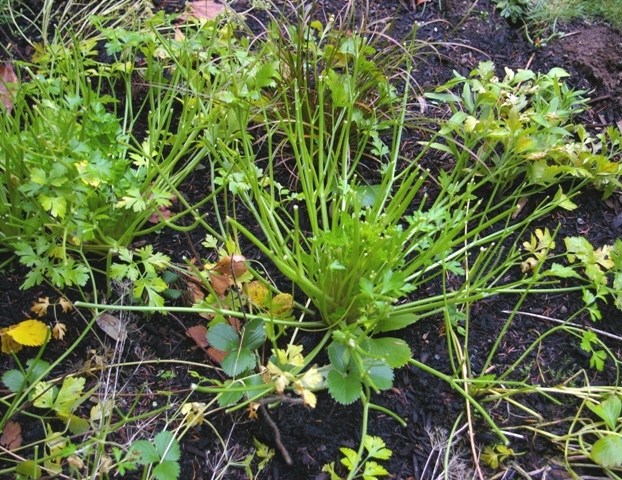 In the heat of the summer I have to be especially careful, since the spreader sticker oil mixed in to make it last longer on the leaves can burn the plant—Lewisia, for instance and other fleshy leaved beauties like the larger leafed sedums, will end up with brown spots that endure all season. Some brands seem to react wrong with certain plants, causing necrotic splotches where the repellent pools and dries on the leaf. Of the brands I’ve tried, Not Tonight Deer works the best for me. It’s also easy to mix and I have not noticed dramatic phytotoxicity with it, other than the examples I mention above (caused I believe by the oil and not the repellent itself). At this time of the year when I’m not out in the garden much, I’ll put cages of chicken wire around smaller plants—Heuchera, Tiarella, and others as its easier than spraying and doesn’t wear off. I do use netting for a handful of larger plants which is more attractive than homemade wire cages. I find the netting harder to use effectively. 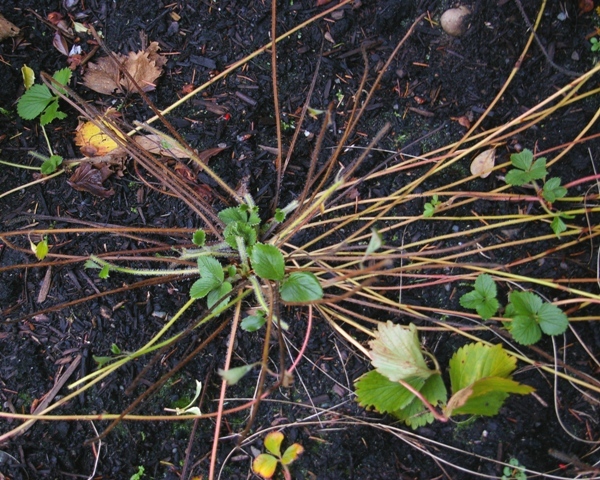 A tangled mess results when foliage inevitably grows through the netting. There are many, many strategies for dealing with deer and buying a dog one of the surest of them, though depending on the dog, one can trade one garden pest for another. Avoiding plants that deer like is another successful strategy, though the deer haven’t read anyone’s well-researched plant lists and vary in their preferences. Besides the plants I have named above, others that deer seem to relish over others: roses, red twig dogwood, cherry and other fruit trees. If you want to grow these plants successfully, fencing is your best option. Dealing with deer is no different than other garden pests, as the IPM (Integrated Pest Management) would indicate: a combination of tactics is most effective. Colleen Miko is a certified professional horticulturist with 20 years experience in landscape design who has designed award winning gardens for the NW Flower & Garden Show as well as HGTV’s “Landscaper’s Challenge”. Colleen is freelance garden writer and speaker. This entry was posted in Garden Pests and tagged deer fencing, Deer Netting, deer repellents, Italian Parsley, Oakleaf Hydrangea, plants deer like, Strawberry, tactics for controlling deer, Winter garden chores. Bookmark the permalink.